We’ve all been there-you get a phone call from someone who happens to “be in the neighborhood” and wants to stop by with just a few minutes notice. You panic as you look around your house and see it’s a total wreck and wonder how you’re going to avoid the embarrassment when your company arrives. 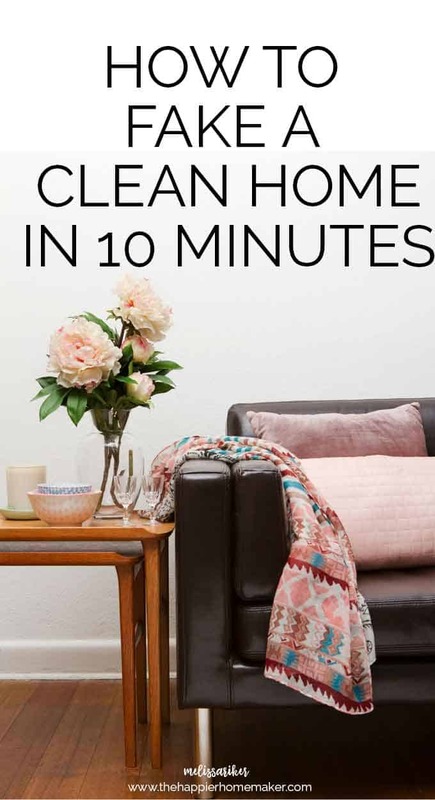 Even the most organized of us get caught on bad days so today I want to share with you how to fake a clean house in just ten minutes. Remember these rules for the next time you need get your house ready for an unexpected guest! The first thing we’re going to do to get the house in shape is to pick up the clutter. Grab a large basket or bin and take a quick walk through the living room, kitchen, and bathroom grabbing anything out of place and putting it in the bin. If you have an open floor plan go through all the immediately visible areas and do the same. We don’t have time to organize here, just put it in the bin and tuck it into a bedroom or closet until after your guests leave! Next light a scented candle (or if you love essential oils like me, start a diffuser.) If you have more than a few minutes you can also throw together a quick simmer pot on the stove like this one that makes your house smell amazing! This next step is one I have unfortunately learned from my own mistakes-grab some cleaning wipes and check out your guest bathroom. I once had a ladies night party and didn’t realize until after all my guests had left that one of my young sons had left the toilet quite unpresentable. Very embarrassing! 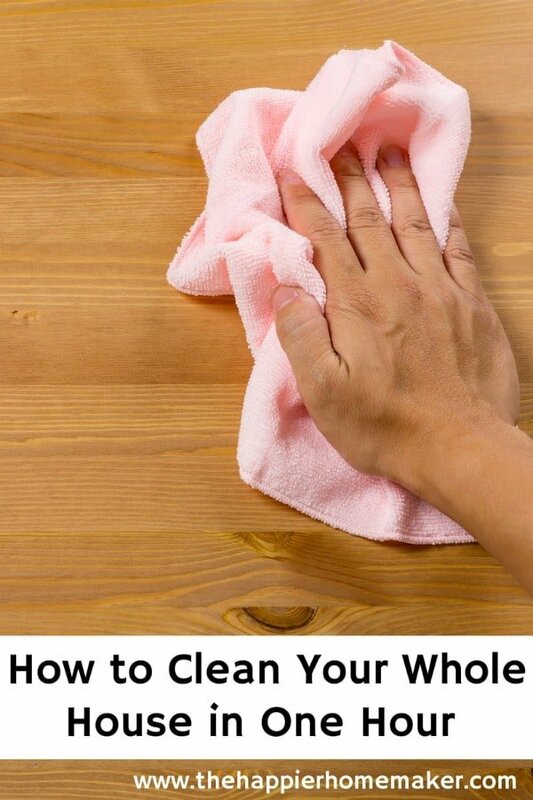 Check the potty and wipe down the surfaces quickly. Change the hand towel if necessary. Last step is the kitchen-clear the counter and if you have time, wash any dirty dishes or rinse and put in the dishwasher. At very worst just grab them and put them in the dishwasher in a stack until you can wash them after! We’re in survival mode here! 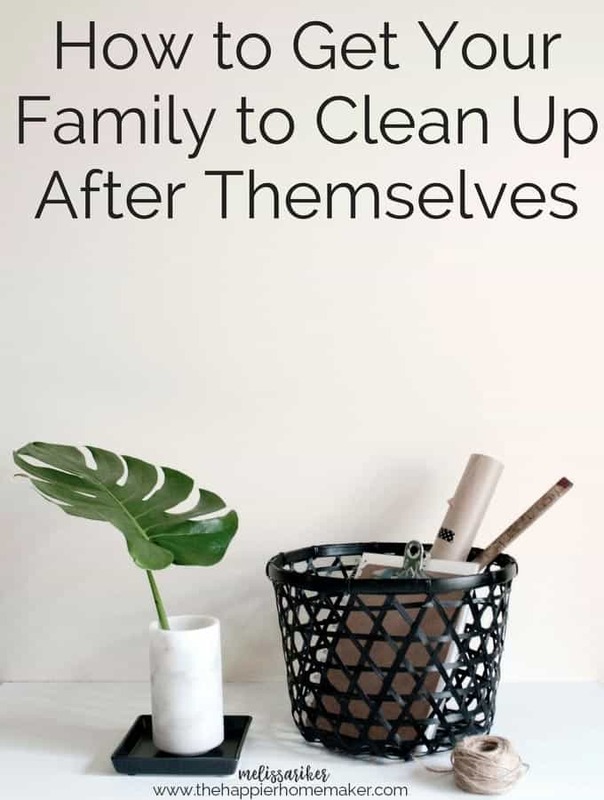 If you have any time left you can give the house a quick vacuum but overall your home should look presentable after taking these quick steps. Do you get unexpected guests often? What do you do if someone stops by with short notice? We rarely have visitors unless it’s someone my husband is going to work on their car. Then it’s so last minute, that there is no time for any kind of cleaning as he usually doesn’t tell me until right before they come over. We live about an hour away from any family, so they don’t like to come out this way. We rarely had this happen when we were in DC Janine but it came to mind at our new home here in England because it’s on a military installation and everyone is so social in the neighborhood and I can definitely see people popping by a lot unannounced in the future! Sounds familiar! Love your web site! 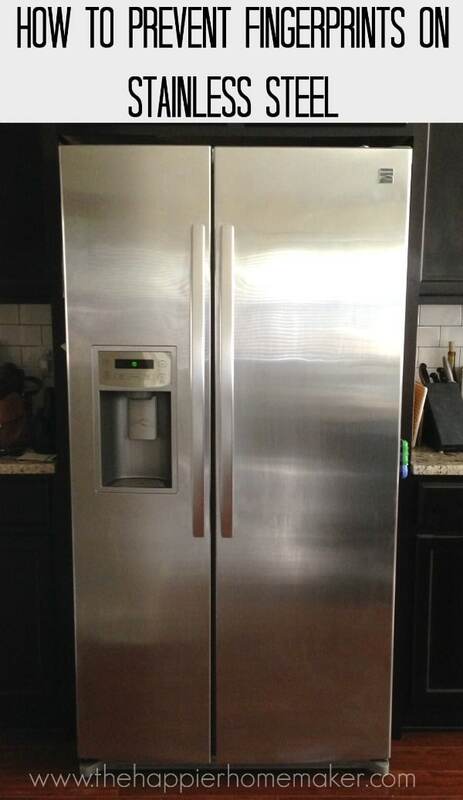 my stainless steel refrigerator clean!! I like to use window cleaner for quick tidy ups. It doesn’t leave streaks on tile or counter tops.I have 1 full bath and 2 half baths and have cleaning supplies(paper towels, bowl cleaner and brush, window cleaner for mirrors etc., disinfectant cleaner) in each so I don’t have to drag supplies up and down stairs when I need them. Sometimes, particularly on windy days, the house smells a bit dusty so as an emergency measure I spray a couple of puffs of furniture polish in the air – not too much, just enough to make it smell as if you’ve been polishing recently. I’ve just joined and it looks like an interesting site. Thank you! Great tips! I too have three little ones and if I can at least get the beds made and the kitchen relatively decent before leaving for the day, I don’t feel as crazed upon returning. I also vacuuming like a mad woman all.the.time between the kids and the dog! Visiting from The Pretty Pintastic party.